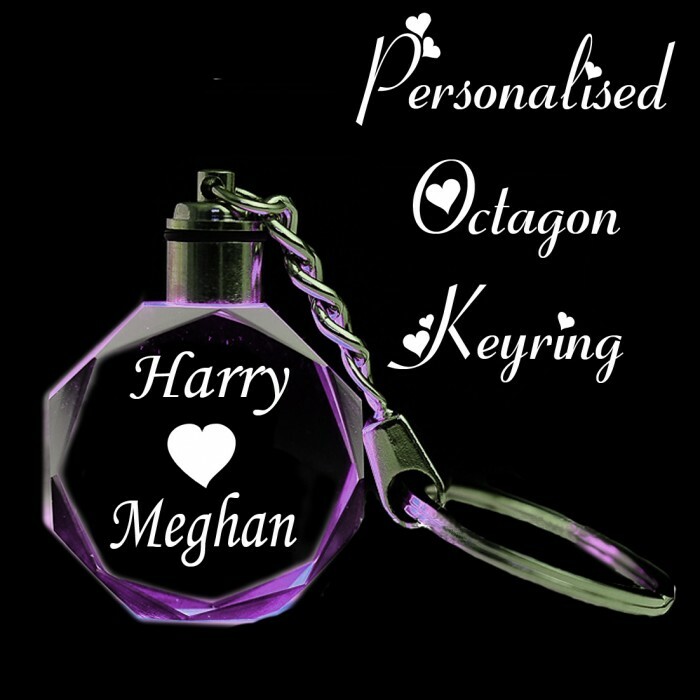 This 2D His and Hers Personalised Octagon Crystal Key Ring/Chain can be engraved with any text of your choice. Does not light up. 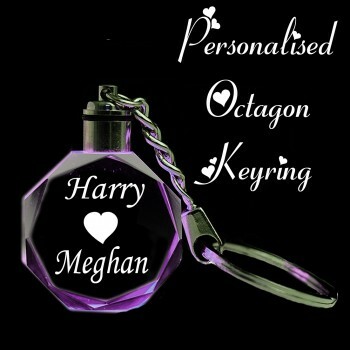 Comes gift velvet pouch and guaranteed satisfaction or your money back.